On the first night of Hanukkah, a weary traveler named Hershel of Ostropol eagerly approaches a village, where plenty of latkes and merriment should warm him. But when he arrives, not a single candle is lit. A band of frightful goblins has taken over the syna-gogue, and the villagers cannot celebrate at all! Hershel vows to help them. 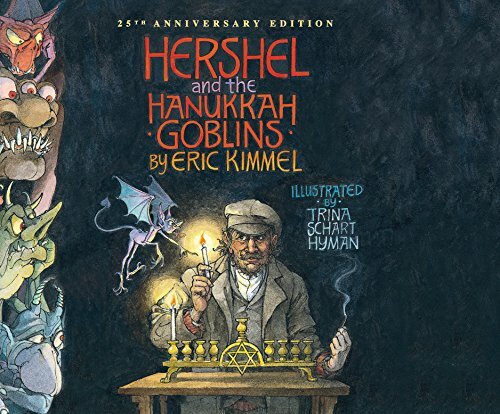 But can one man alone stand up to the goblins, save Hanukkah, and live to tell the tale? Includes page turn track: 21 minutes.